Situated in the heart of the famous German Wine Route, Bad Dürkheim is the perfect place for nature lovers to unwind in style. 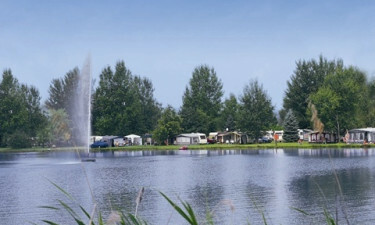 This luxury camping site is situated right on the edge of a large and picturesque lake, while guests will also find plenty of activities to take part in just a few paces from their spacious mobile home. For wine lovers, the Rhineland-Palatinate region of Germany will probably need no introduction, as this part of the world is famous for its excellent wine. People who choose to stay at this leading LuxCamp will be able to spend many sunny days exploring the vineyards, where wine tasting is also available. 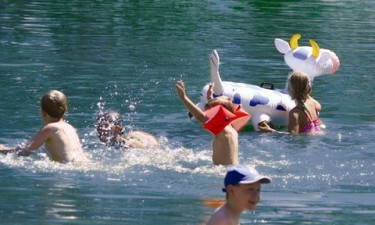 Guests who want to keep cool while enjoying the camping holiday of a lifetime are invited to use the pool that can be found right next to the site free of charge. 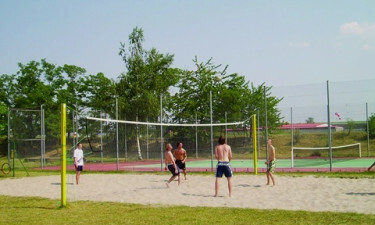 Bad Dürkheim is fringed by a stretch of sand where beach volleyball is popular. Lovers of luxury camping are sure to have fun boating on the lake that can be found on the edge of Bad Dürkheim. Other aquatic activities such as fishing and sailing are also just waiting to be tried.